It’s that time of the year when there’s chocolate everywhere you look and whispers are circulating about how it’s okay to have chocolate for breakfast. While little ones daydream about the chocolates they’ll receive on Easter Sunday and how big their haul will be in the Easter egg hunt, many parents are thinking about the sugar. So.Much.Sugar. For any parent whose child’s wishes sound like they may attempt to eat their body weight in chocolate this Easter, or who has a sweet tooth that desires treats regularly, the kids picture book we’re currently reading is for you! 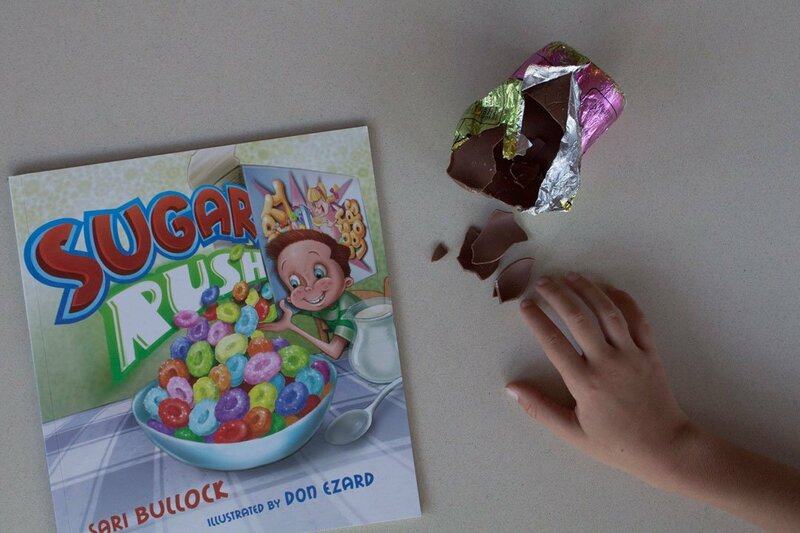 We’re reading Sugar Rush, a picture book that takes us through a week in the life of a little boy who overindulges. On Monday, his Mum gives in to his pleading for sweet treats and he receives a mountain of lollies, and it’s downhill from there. Throughout the week we watch his desire for sugary food grow and the effect on his body, from mood swings to lack of concentration and energy. As the week closes he’s looking like a zombie and feeling like he wants to be sick. 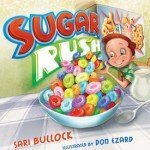 This picture book, written by Sari Bullock, is a lovely rhyming read that will draw little ones into the story with ease. Vibrant illustrations by Don Ezard feature throughout and perfectly picture the demise of the boy’s health. Best of all, this book is a great opportunity to talk with children about what happens when you eat too many treats. If you’re looking for a sweet read as the chocolate wishes build up, this is a must read! tiny & little makes every effort to undertake reviews fairly and transparently. We received a copy of this book for review purposes. This review was not paid for – the views expressed in this review are the personal views of the reviewer and we only write on tiny & little about things that we genuinely love.